I had a comment on yesterday's entry that won't post, so I thought I'd answer it here, KMS. Travel warnings have been issued by the U.S. for American citizens on and off for Pakistan over the last 20 years. We followed all of the guidelines explicitly, receiving visas to travel and to participate in church activities in a restricted area of the city. I have purposely not discussed my presidential vote on my blog, and I still won't, but the reason I mentioned Pakistani reaction to Trump's election was out of interest, not to validate my voting choice. When I discussed Pakistan with my four History classes after I returned, not one student could name the leader of Pakistan, but every 7th standard and above student in Pakistan knew of the election between Clinton and Trump. Americans so often think little past our own borders. And to answer to your question about scarves and makeup--makeup is a personal beauty choice, just like in America. Many women there wear makeup or don't; it isn't part of their cultural identity per se, but it definitely was part of the excitement for the wedding and with the women I spent time with. 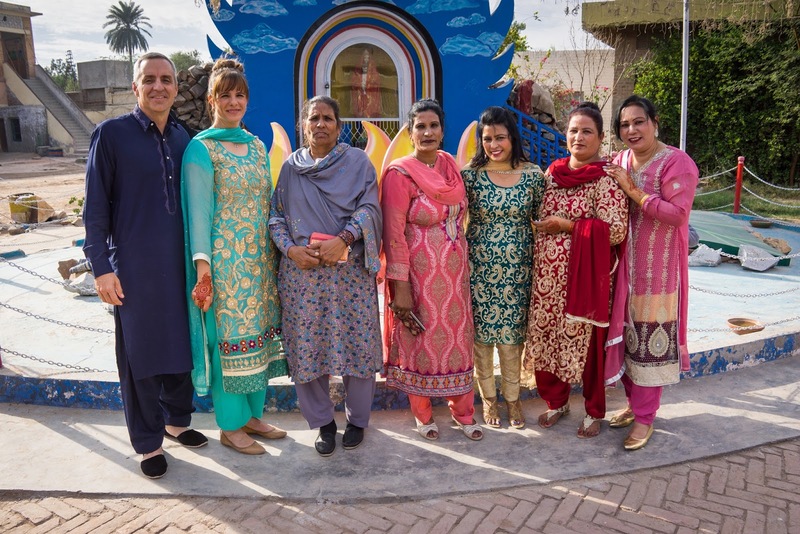 Scarves are worn by women in Pakistan, but Christian women and Muslim women wear them differently. I was visiting a group of Christian women, and I asked them how I should wear mine. As you will see in these two photos, Christian women rarely cover their hair with their scarves. I did take my cues from my hosts and did exactly as they did. In fact, on the day I didn't wear a scarf, I asked them if I should wear one of my other scarves, and they said no, because I didn't have one that matched. 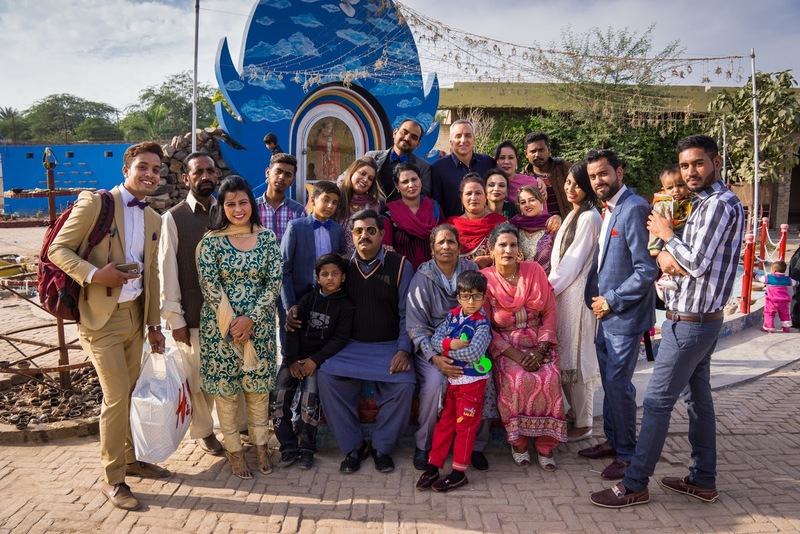 Saturday’s celebration centered around the bride’s family driving four hours all together in a bus to Rahat’s hometown for a final party and to bring the couple back to her home for a traditional visit of a few days before she permanently moves in with his family. 1. First time waking up with a tattoo on my face. Not exactly what it sounds like, people. 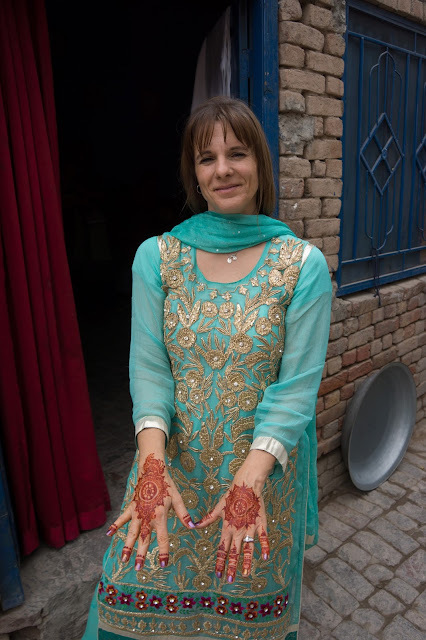 Part of the wedding celebration includes henna on the hands of the women in the party. I’ve never had henna (but Lily loves it). I was the kid that never wrote on her baby dolls and never wrote “Cootie Shot” on her hands. I hate it when I even get a pen mark or whiteboard marker on me. Choosing to get henna was, like the salon experience, making sure I fully immersed myself in the whole Pakistani experience. Nosheen’s niece spent an hour doing my henna after the wedding on Friday night, and I was careful to let it all dry before washing it off just before bed. When I woke up the next morning and looked in the mirror, I was horrified. I’m a side sleeper preferring to tuck one hand under my cheek as I sleep. You can see where this is going, right? Lucky for me, the shadow left on my cheek from my hands came off with quite a bit of scrubbing. How bad would that have been if I’d shown up for the bus ride that morning looking like Mazer Rackham from Ender’s Game? I dodged a bullet on that one! 2. First time eating ketchup flavored potato chips. 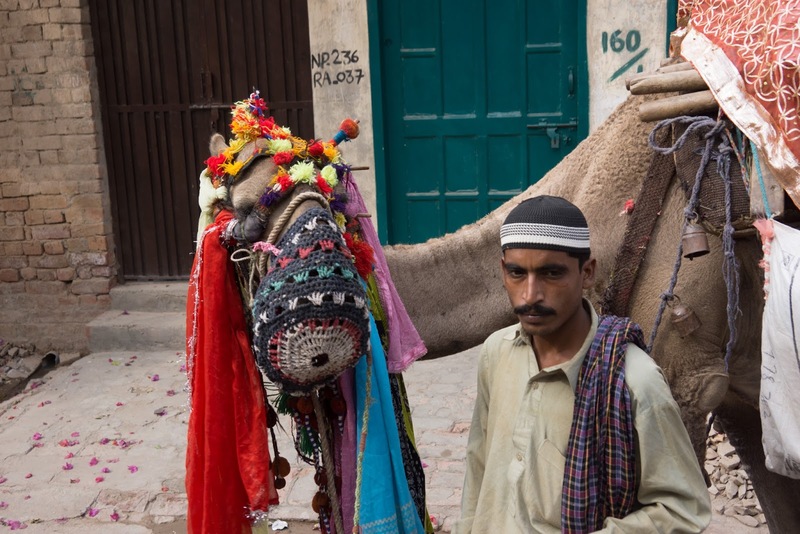 The four-hour ride to Sargodha was just a big party on wheels. The whole family was together, excited to see Nosheen for a few more days before her big move. The driver stopped at a gas station for a potty break and we bought a few snacks. This was just like America; very few other experiences were even close to what we do at home. Flavors of chips were strange, and I was hesitant to try many of them, but Shazina bought a variety for everyone to “share, share.” I was surprised that “French Cheese” is the Pakistani name for Sour Cream and Cheddar and “Yougurt and Herb” is Sour Cream and Onion. I relaxed at the familiar tastes, not thinking as we snacked and laughed. I reached my hand into a bag without reading the label, and the familiar texture combined with an unfamiliar taste registered in my brain. What was it? I read the label—ketchup flavored potato chips. I think there’s a reason these aren’t marketed in the U.S. Not my favorite, that’s for sure. 3. First time seeing camels not in a zoo. The entire family (over 40 people) swarmed in on Nosheen’s cousin who lives in Sargodha to clean up and prepare for the celebration. Everyone changed clothes (except me and Brad, who were unfamiliar with the custom of traveling clothes and changing into party clothes) and did their makeup and hair (I did mine that morning, but I was also glamorized for the day with more makeup and another bun). As we were getting ready, an unusual bell ringing (similar to Santa’s jingle bells), came from the alley. The older kids ran to the gate, yelling a word I didn’t know. One of them grabbed my hand and said, “Sister Jenny, photo! Photo!” I was not prepared for what I saw on the other side of the gate. It was a three-camel train, all wearing colorful headpieces and bells. 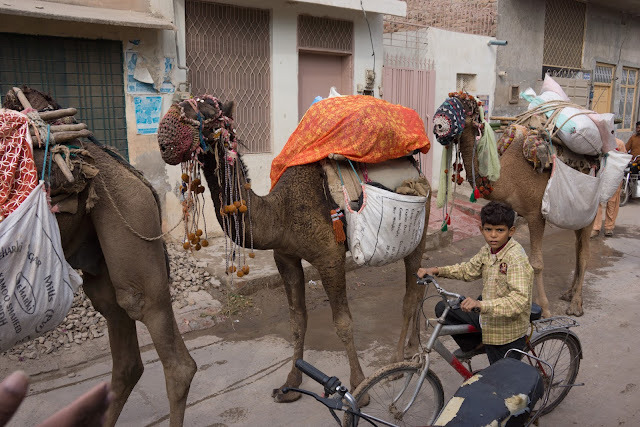 They were the skinniest camels I’ve ever seen, carrying all kinds of unrecognizable stuff. I don’t know why I was so surprised to see this; I guess I thought camels were only in the Middle Eastern desert areas (which Pakistan borders, duh).